Set up two lines approximately 12 yards apart. in the middle of these lines have two gates of different colours 2 yards wide as shown in the picture. 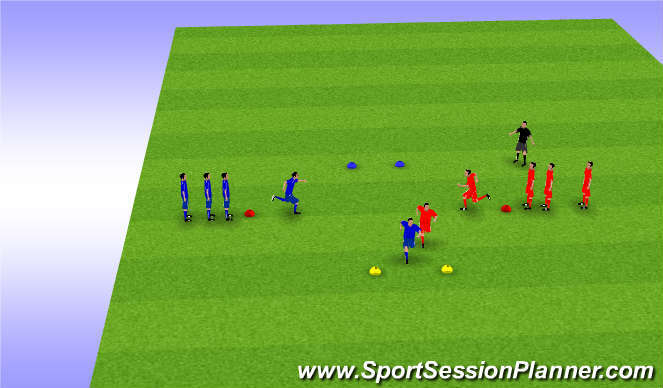 For an extra progression you can make it that if the coach yells &apos;blue&apos; the players go to yellow and if he coach yells &apos;yellow&apos; the players go to blue.